Automobiles have the power to provoke feelings of passion, obsession, and fascination. Since the current upswing in the collector car market, a new generation of collectors is on the rise. Through nationwide broadcasted auctions and incredible sales results, the general public is starting to see the investment potential that certain collector marques carry. Carolina Coach Collection originated from the shared desire of Tim Lingerfelt and Chris Carlsen to assist a potential buyer towards making wise investments through incisive decisions. These days, it is not uncommon to see automobiles selling for hundreds of thousands of dollars, so a scrutinizing eye is essential. The decision to think with your intellect instead of your infatuation can become quite the challenge–but that’s where we come in. If you’ve already found what you believe is the perfect candidate, let us evaluate the vehicle for consideration. 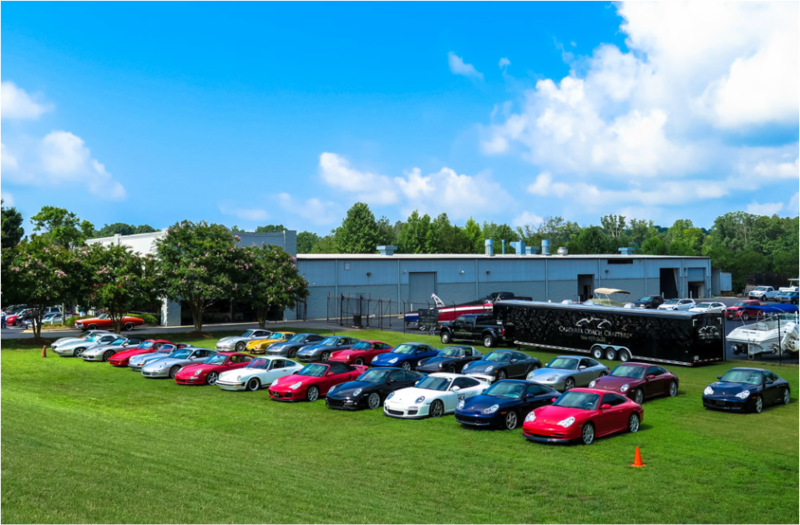 At Carolina Coach Collection, providing the collector with value is what we’re all about! Tim has been restoring automobiles since he finished working on his first car, just in time to drive it for his 16th birthday. One year later, Tim won his first “best paint” award during an automotive refinishing competition, ousting 28 established paint & body shops in his region. Early on, a private collector recognized Tim's talent and invited him to undertake the process of restoring his personal collection of aluminum and composite-bodied vintage Porsche race cars. After accruing experience with the Porsche marque, Tim restored automobiles for Manfredo Lippmann, William Jackson, David Zagaroli, Rick Hendrick, and numerous others. He specializes in appraisal and restoration of everything from muscle cars to blue chip finish automobiles–including preservation of all types. His works have earned awards at Porsche Parade, Palm Beach International, Amelia Island, Festivals of Speed, and Hilton Head, with the prestigious people's choice award. Tim spends his free time with his son, Jackson, and he also enjoys golf, boating, cooking, banjo music, and going to his church. Chris Carlsen’s love affair with cars started in the 1950s. After attending his first Indy 500 in 1959, he was immersed in the automotive world. His first car was a 1959 356 Porsche that he drove during high school. In the late 60s, Hot Detroit Iron was the car to have, and when the early 70s came around, he switched over to the 442 brand. Chris drove a 1968 442 convertible and then a 1970 Pace Car–a lost love that he desires to be reunited with. After the Pace Car, Chris transitioned to a 1978 Porsche 911 SC and then to a 1981 911 SC. Similar to most Porsche enthusiasts, Chris had his heart set on a 930 Turbo that always seemed to be just out of reach. In 1986, he purchased his first Ferrari and joined the Ferrari Club of America. Throughout the 1990s, Chris was an active member of the Board of Directors of the Florida Region and continued his involvement with the Charlotte chapter of the club once he moved to North Carolina in 1999. During the 2000s, Chris and his son, Andrew, raced with Legend Cars. They both loved racing and Chris continued to fuel Andrew’s passion for the sport by supporting his career in Trucks, Limited Late Models, and Late Model Racing, with an especially successful year in 2008. 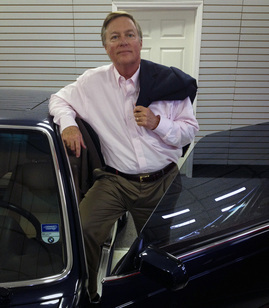 Chris joined the Antique Automobile Club of America in 2001, and ever since then, he has contributed his expertise to the Auto Fair each year at the Charlotte Motor Speedway and sat as a judge in AACA events. Along with his membership in AACA, Chris maintains his dedication to the Ferrari Club of America, BMW Club, Porsche Club of America, and the Early 911 S Registry. 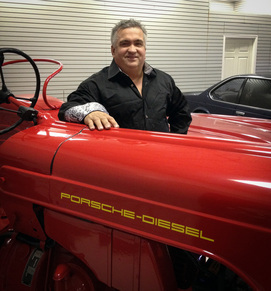 His determination and unmitigated pursuit ever since 1959 came to fruition when he joined Tim Lingerfelt, a well-known Porsche and Muscle Car expert in Mooresville, North Carolina, to form Carolina Coach Collection, LLC. Before co-founding Carolina Coach Collection, Chris was involved in the development of commercial real estate in Florida, Arizona, Washington D.C., and North Carolina. During the 2000s, he co-founded two restaurant companies, one that is local and one that is now nationwide. Chris was also involved in co-founding Carsmetics in North Carolina. With the first of many locations being in North Carolina, Carsmetics is a 19-year-old Tampa, Florida, based drivable accident repair franchise, with over 20 locations throughout the United States. With Tim’s team and our focus on authenticity, we are providing the collector/investor the very best in value and collectability.